Eureka, CA (June 26, 2017) – After a long two week break, the 2017 season at Redwood Acres Raceway resumed this Saturday night for one of the biggest events of the year. The points races in all six divisions at the Acres are still relatively tight with no clear favorites as of yet. Daniel Buell holds down the lead in the points for the California State And Federal Employees’ Credit Union roadrunner division. Buell’s advantage over Nick Ford in second place is only four points. 24 points behind Buell in third is Tim Ratzlaff. Fourth Bob Ratzlaff is 18 points behind third while Jennifer is only three points behind in fifth. 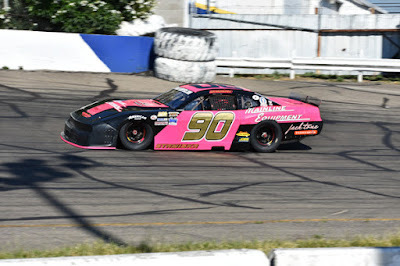 The Nor-Cal Automotive Legends will not be in action this weekend which will allow sophomore driver MKinzy Uselton more time to enjoy her lead in the standings. Uselton is 10 points ahead of Legends rookie Dominic Vogelsang. Tyler Peach is another rookie in the division and is 15 points behind Uselton in third. Brent Mack holds down fourth in points while Cody Winchel rounds out the top five. John Lally has a rather comfortable lead in the Fortuna Wheel & Brake bomber division. Lally’s lead over second place Bethany Rapp is 18 points. Jim Redd is third in the running, 29 markers behind Lally. James Moore holds down fourth and is eight points behind Redd. Kolby Jackson’s 92 total points has him fifth in the bomber division standings. Veteran racer Brian Murrell, Sr. holds down the lead for the Humboldt Hydroponics mini stock class. Murrell, Sr. has a five point margin over Eugene Palmer in second position. Scott Taylor has had an excellent rookie season thus far and is a surprising third in the standings. Troy Lee is fourth while Brett Murrell is quickly making up ground in the points and sits fifth. Like the Legends division, the Lone Star Junction Thunder Roadsters will also have the night off this Saturday. Paul Peeples, Jr. enjoys a 16 point lead in the standings over Ronnie O’Neil. Tommy Payne is third in points only seven behind O’Neil. Rookie driver, Jason Mitchell is fourth in the standings and veteran Chris Sarvinski is fifth. The fourth race of the Super 6 Late Model Challenge Series is set to take place Saturday night with the running of the Don Graham Memorial Firecracker 100. It’s the next to last race for the series at RAR which is presented by Danielson Construction, Mid-City Motor World and North Coast Lighting And Electric. Mic Moulton won the May 13th race and is the current point leader for the series. Eric Gannon has yet to win thus far but has been steady and consistent all year long. Gannon is only seven points behind Moulton. David Henderson won the most recent Super 6 race on June 10th and is 17 points behind Moulton in third place. Marty Walsh is still in the points fight in spite of some bad luck this season. Walsh is fourth in the standings and is only two points behind Henderson. Kenny Demello is a bit of a surprise with his fifth place in the standings. SACRAMENTO, CALIFORNIA (June 27, 2017) - The Pacific Challenge Series presented by PenneyLawyers.com reaches the halfway point of the season with arguably its most coveted race, as the touring Super Late Model division hits Stockton 99 Speedway on Saturday for the "Ron Strmiska Memorial 125". The race also serves as the second Tri-Holiday event at the historic paved quarter-mile oval and is the longest lap count of 2017. The race honors Ron Strmiska, Sr., otherwise known as the Manteca Missile, who was a big time racer in the San Joaquin Valley for many years before he passed away last year. The second annual running of this race has attracted a very stout entry list of drivers vying for the prestigious win. Ron's grandson Ross will carry the family name while still looking for his first Stockton touring series win in several attempts across PCS and SRL. He drives a hot pink #90 Dodge Charger in PCS action. Joining Strmiska in the list of Stockton-area favorites will be 2015 SRL Southwest Tour champion Jacob Gomes of Manteca. Gomes has a pair of second place finishes and a pair of fourth place finishes in his PCS career at the speedway with the most recent runner-up finish coming last September. Gomes challenged 2014 series champion Mike Beeler of Modesto down to the wire in the inaugural Strmiska Memorial, with Beeler coming out on top. Beeler is another driver that ranks Stockton as his home track and the PCS veteran is working on his fourth consecutive "top-two" season with the series. Beeler won the 2014 championship before runner up efforts in 2015 and 2016. He is currently tied with 2015 July Stockton winner John Moore of Granite Bay at the top of the series standings. Moore parlayed his 2015 Stockton win into a championship and both drivers would like to do the same thing in 2017. Tracy's Justin Philpott and Stockton's Colby Potts are another pair of second generation Stockton regulars expected on Saturday night and both are expected with muscle car bodies on their entries. 2013 Stockton 99 Speedway Late Model champion Matt Scott ran third in his 2017 PCS debut at Roseville and will carry that momentum into Stockton. The 2017 Pacific Challenge Series has not yet had a repeat winner with all four races claimed by first-time series winners. 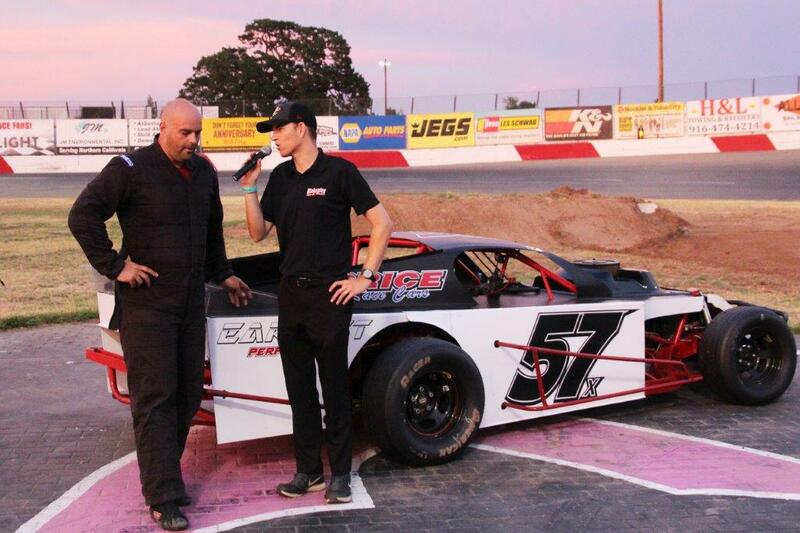 Carlos Vieira scored in Madera while Derek Copeland won at his home track at Shasta Speedway in May. Jeff Bischofberger won at his home Stockton 99 Speedway on May 20th in a late race shootout while 2015 Rookie of the Year Cole Moore won at his home track All American Speedway in Roseville, CA on June 17th. Moore is the only full-time competitor with a win this year and ranks fourth in the standings before 2009 Roseville champion Jason Romero who is third in the standings. 2016 PCS Rookie of the Year and Stockton Super Stock standout Matt Wendt of Galt rounds out the 2017 top-five in the points. 2017 leading rookie Jack Wood of Loomis is sixth followed by his cousin Travis Milburn of Eagle, ID, Valley Springs' Tracy Bolin, Elk Grove's Mike Hite, and Loomis' Chris Scribner. Manteca's JR Courage and Hayward's Danny Malfatti are also expected to compete. Activities get underway on Friday with practice. Gates open at noon with cars on the track at 3 p.m. Pit gates open at 1 p.m. on Saturday with the first practices at 3 p.m. The grandstands open at 5 p.m. with racing at 6 p.m. Pit passes are $40 per day for members but two-day passes will be at the member price for $80. Grandstand tickets are $20 for Adults 16+, while Jr. 11-15, Military with ID, and Seniors 60+ are $15. Kids 10 and under are free. A family pack for 2 Adults and 2 Jr. is $55. The popular Stockton Late Models, Stockton Bombers, and Stockton B4s will also be competing! June 24, 2017 ...Roseville, CA...... Race #5 of the North State Modified Series, presented by Protect the Harvest, took place at All American Speedway in Roseville Saturday night, and it was the local boys who placed up front with Eric Price Jr. of Rio Linda taking home the Ward Ranches top honors, followed by Loomis driver Michael Mitchell, Jason Philpot of Sacramento and Kris Price, also of Rio Linda in the Sinister Diesel Summer Sizzler. Philpot turned the fastest lap in the 21 car field, clocking in at 13.816 seconds to earn the Penney Racing Supply/Sunoco Fast Time Award. He drew the number 6 for the invert in the 60 lap feature putting Lake County's Darrin Knight and Charlie Collins in the front row. Michell and Eric Price started in row two with Kris Price and Philpot in row three. Collins forged ahead at the start until the first yellow flag flew on lap 3 when Simi Tour's car lost a spring that rolled down on the track. Collins and Knight ran side-by-side the next three rounds with Mitchell tight on their bumpers. The race was slowed again when Dave Campbell spun in turn two. When racing resumed Knight inched into the number-one slot. Mitchell drove under Collins for second, and on lap 11 Philpot, Kris Price and Eric Price slipped under Collins. Adrianna Strugnell battled engine problems all day and finally retired her mount to the pits on 13. Knight continued to lead, but Mitchell made several attempts to pass, only to settle back into the second spot. The lapping process began on lap 20, and two rounds later Philpot was hit from behind which sent his car off the track into the dirt infield. His car came back on the asphalt, shot across the track right into the side of Sal Lopez's car. Lopez was done for the night. On lap 33 Mitchell tried to get around Knight on the high side, but when his efforts failed, Eric Price moved to the outside next to Mitchell. Philpot swapped places with Kris Price on the 36th circuit. Knight's car pushed slightly and it was all Mitchell needed to fill the hole and steal the lead away. Eric Price followed his line moving Knight back to third.